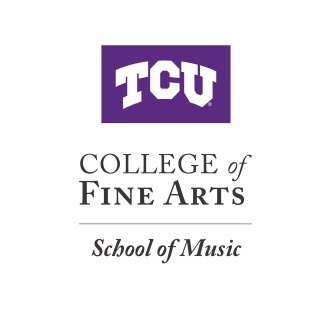 The TCU Flute Studio is currently comprised of 16 undergraduate, masters, artist diploma, and doctoral students. They are pursuing degrees in flute performance, music education and the bachelor of arts in music. We have students from all over the state of Texas, all over the country, and even all over the world with students from China, Taiwan, and Iran. Flute students participate in a large variety of ensembles including wind symphony, marching band, symphony orchestra, flute choir, woodwind quintets, the new music ensemble, and the Baroque Collegium. For information on applying to the flute studio please see our audition requirements. Flute Choir features members of the TCU flute studio on piccolo, C flute, alto flute and bass flute. The flute choir offers an opportunity for members to develop their intonation, rhythm, sight-reading, expression, flexibility, sound production and chamber playing. These skills provide students with invaluable tools to strengthen their confidence as performers and music educators. The choir presents a variety of classical, contemporary and original works throughout the Dallas-Fort Worth Metroplex. If you are interested in auditioning for the flute choir or having the TCU flute choir perform at your event, please contact the director. The TCU School of Music and Dr. Shauna Thompson would like to invite you and your students to our annual Flute Festival. We will have performances, workshops for all ages, solo evaluations, and exhibits. Visit our festival link for more details.